Audi for many, many years had a dual offer when spicier versions of regular models are concerned. If you wanted to be a bit special S moniker is at your disposal, if you wanted to go berserk than RS fits your intentions. BMW and Mercedes haven’t quite followed that game, until recently when Stuttgart decided to give it a go. Twin-turbocharged V6 appeared as a perfect choice, and soon it found its place under many hoods within brand’s lineup. As a result, we could see Audi S models getting direct domestic rivals for the first time. It is also E-Class turn right now, so 2017 Mercedes-AMG E43 is here. AMG 43 models need to fit between regular models and fully fledged AMG 63 ones, not just by power output, but also by appearance. So, compared to usual offer, you’ll get more aggressive fascia with sportier bumper featuring side intakes with vertical slats and black inserts, diamond grille with only one vertical opening, special alloys and slightly reshaped diffuser with slotted exhaust outlets to mimic quad configuration. 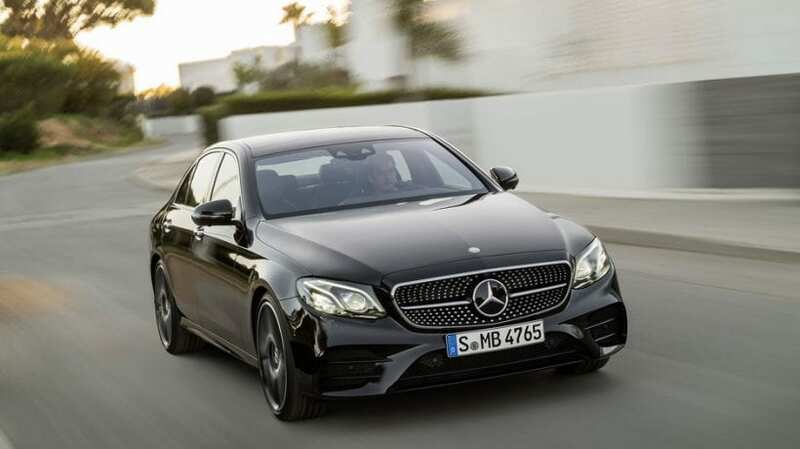 So, a dose of sporty touches, but far from usual menacing AMG style bumper, vertically slatted grille, bulged hood, decklid spoiler and something that you can actually call diffuser, which is all that you get with AMG 63 model. In order to preserve cabin’s ultimate luxury connotations, as far as this area goes, there are no big differences between this and angrier AMG sibling. 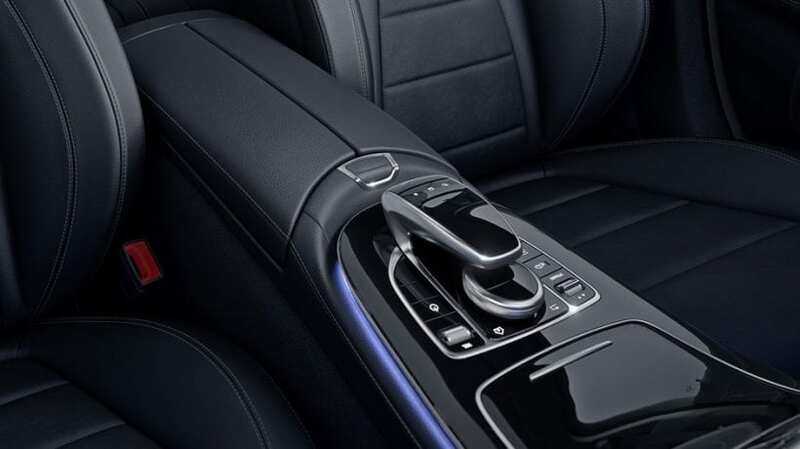 Compared to regular model, you’ll get a flat-bottomed steering wheel, highly bolstered but still visually restrained seats, contrast stitching, aluminum pedals and special trim. Everything else is pretty much the same, and it should be as this is by far most luxurious and best cabin in this segment. 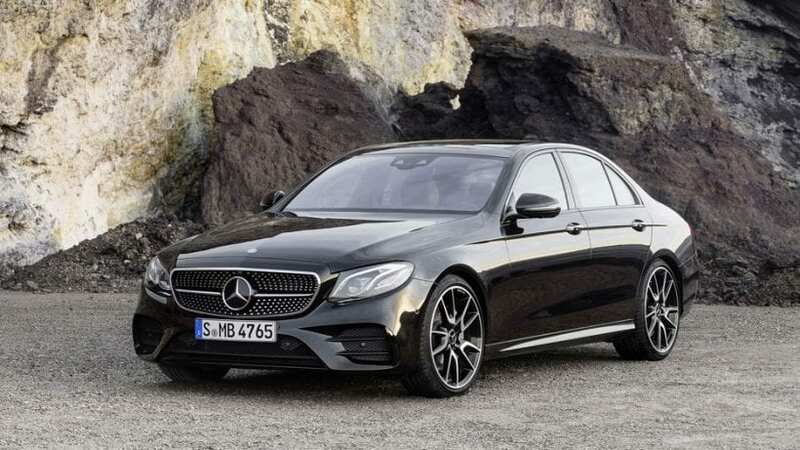 Under the hood is actually a quite ordinary thing, or the 3.0-liter twin-turbocharged V6 also used by regular E400 model in the previous generation, and it is going to be employed by the same version when it arrives. Yet, things are not as they seem at first glance since AMG made sure to make it special for this occasion, installing larger turbochargers with 16 psi of boost along with ECU remapping which brought power to 396 hp and 384 lb-ft.
It’s not all about 70 hp more, as 9-speed automatic shifts are quicker, AWD sends 69 percent of power to the rear axle, air suspension is tuned, and you can additionally fiddle with all that with AMG Dynamic Select system featuring four different modes. Acceleration time is at respectable 4.6 seconds, flavored by beautiful engine note, though partially artificial. The car is quite poised through the corners, body roll is minimal, but sadly steering wheel sensation is numb. When you want your E-Class luxury barge in moderately more exciting flavor, when full AMG visual outfit seems exaggerated to you, when you don’t care how many people worked on your engine, and when shaving a second and something of the acceleration time is not worth additional $30k for you. The price tag of $73k is far above usual starting price of $53k for the standard version, but compared to AMG 63 model it is kind of a sweet spot. If you like it, you can already go for yours 2017 Mercedes-AMG E43, but if you are a bit patient, you can even go classier than this. Later this year expect the debut of both coupe and convertible version of AMG E43, as just slightly covered test cars are already on the roads. Under the hood, everything is going to be exactly the same, but they will knock out a couple of grand more from you bank account, giving you more style in return.